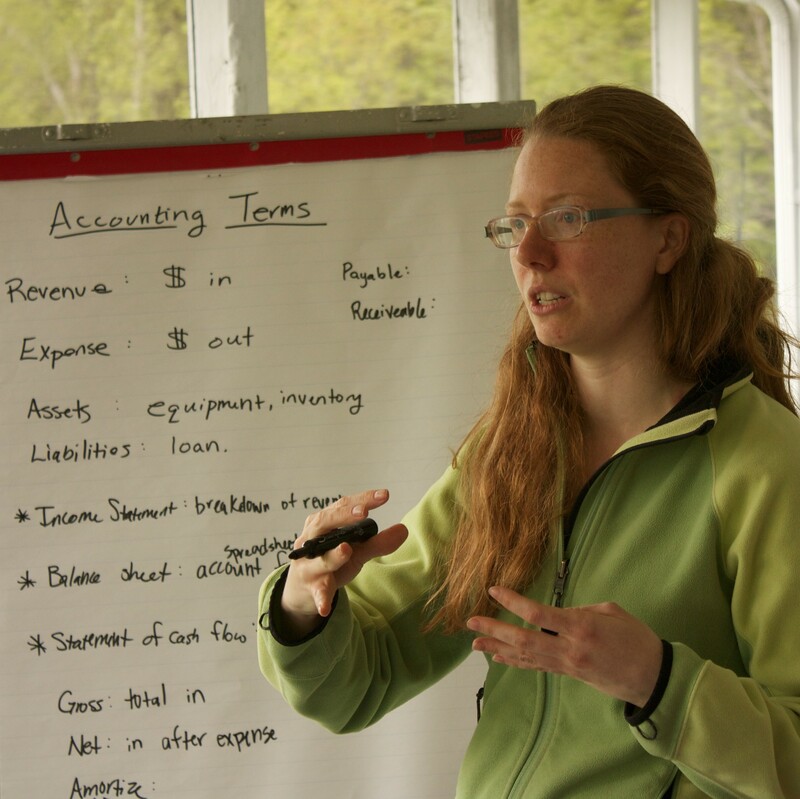 Finances workshop at ESS 2014. We do our best to make Epic Skill Swap as affordable as possible and we operate on a sliding scale payment model. The average cost per person has been about $75 for the last few years, which includes lodging and meals. Our sliding scale model: One of our organizing principles is that Epic Skill Swap should be accessible to everyone. No one should have to stay home because they can’t afford to come. To that end, there is no absolute price. We operate on a loose sliding scale that ranges from $40 to $140. We’ll let you know what it costs us on a per-person basis to put the event on, and ask that you consider this, as well as your ability to pay, in choosing what to contribute. If the per-person cost is prohibitively expensive for you, it’s OK to pay less. If you can afford to, consider paying more, to offset those who pay less. No one makes a profit on this event, and the organizers work tirelessly for months to plan and organize it, so it is important that they get reimbursed for their costs. We took a leap of faith using this approach early on and each year the community did not disappoint us. Each year we have covered our costs and a had a few dollars left over to put toward the next year, which was exactly what we were hoping for. Paying for kids: You do not need to register your baby and toddler, but we do ask that you register older kids who you expect will eat with the group. Our suggested sliding scale for kids is $25–$50, but we encourage you to pay what feels appropriate based on your child and your situation. Workshop material fees: In addition, some workshops will include a nominal fee to cover the cost of materials. These will be indicated on the schedule. Please bring cash to be prepared to reimburse instructors if you decide to go to these workshops.